Collaboration with Diana Mejia and Nikhil Misra. 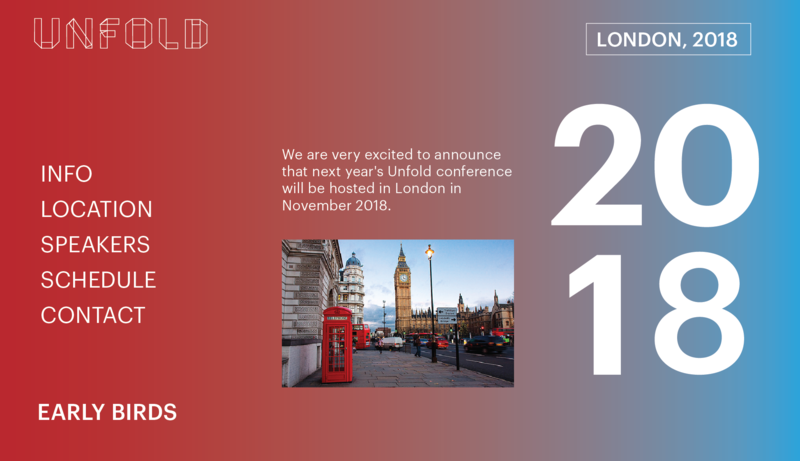 We are creating a new confrence for the new era of designers. 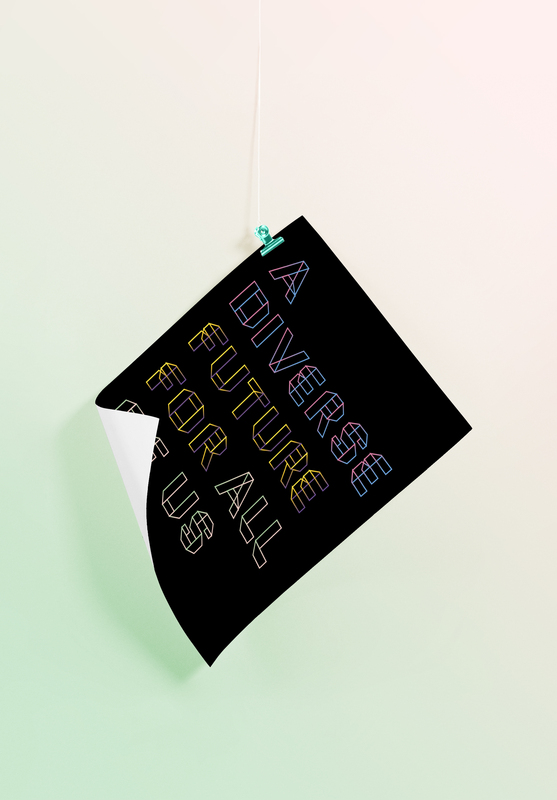 The main theme of our confrence is increasing diversity in the design landscape and the designer’s ethical role on diversity. 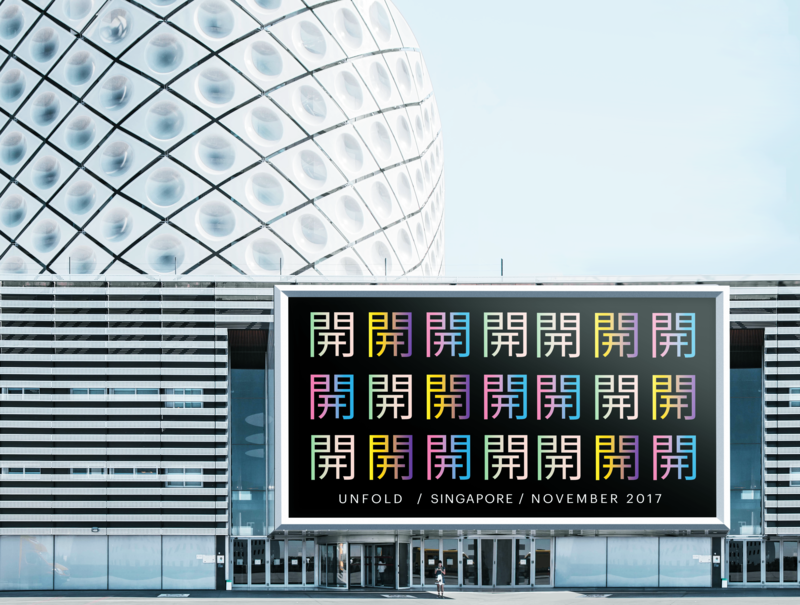 We are holding this confrence in Singapore because its a model city of growing diversity in Asia. Singapore has an influence of Chinese, Indian, Malaysian, and British culture. It is also a beautiful enviroment that promotes growth, aesthetics, and design. 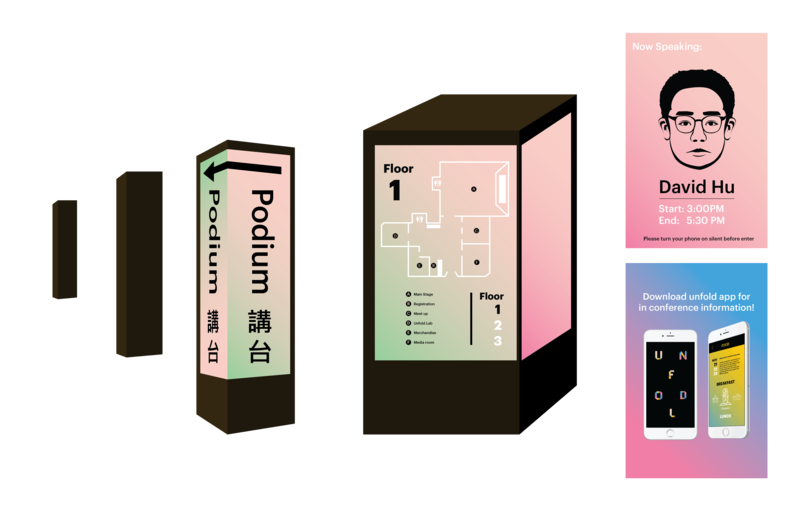 We would like to incorporate multiple languages for our design system for the confrence such as Mandarin. 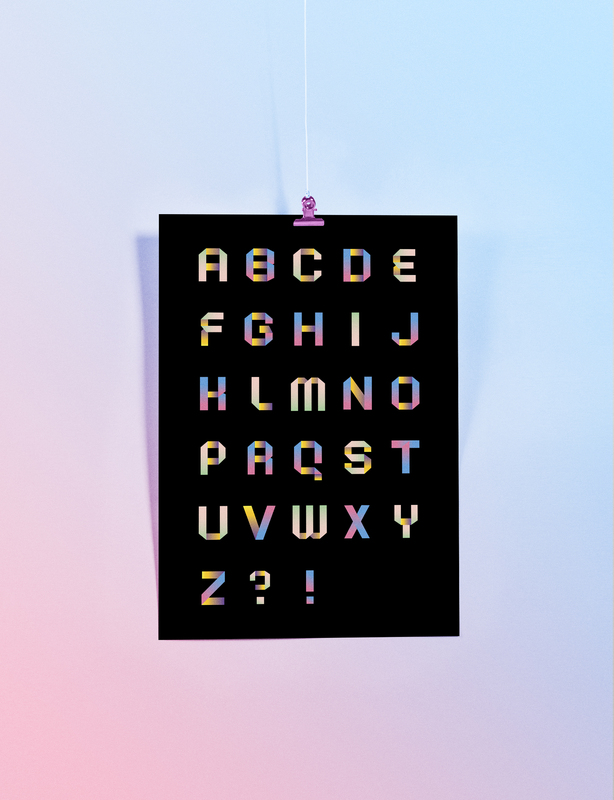 Our Identity reflects diversity in terms of color and letterforms, but it also is made to be adaptable in many different contexts in terms of medium and language. 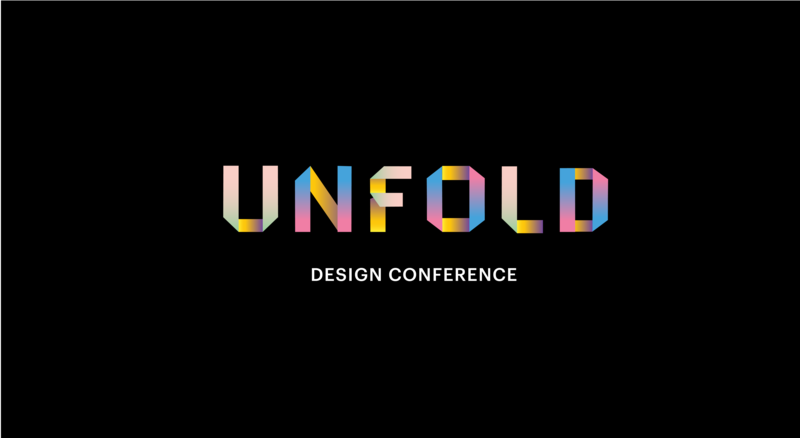 Our goal is to make the attendee feel welcomed, joyful, and hopeful about a diverse future in the design world. 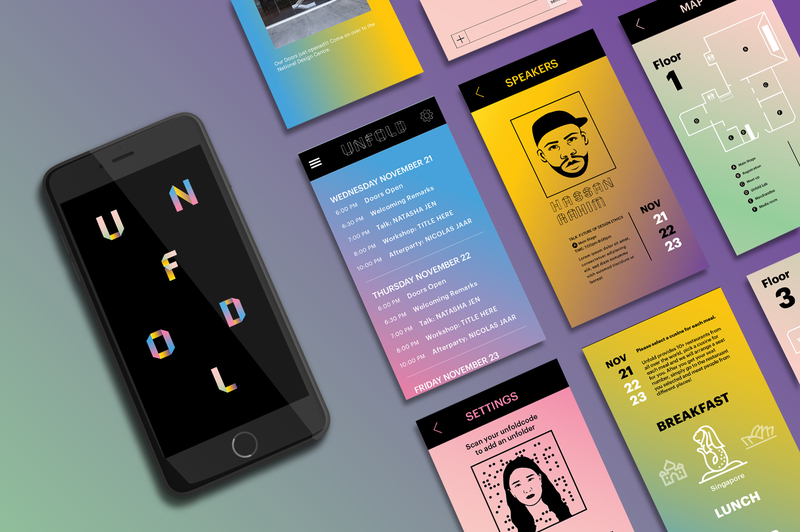 What we created: Typeface, website, in-conference app, digital signate, posters and collederals. 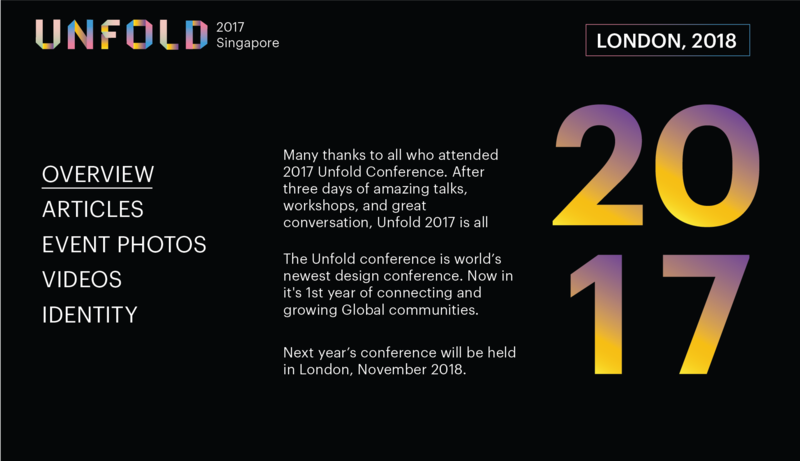 Unfold App: In conference information, schedule, speaker, map and cusines from all over the world. 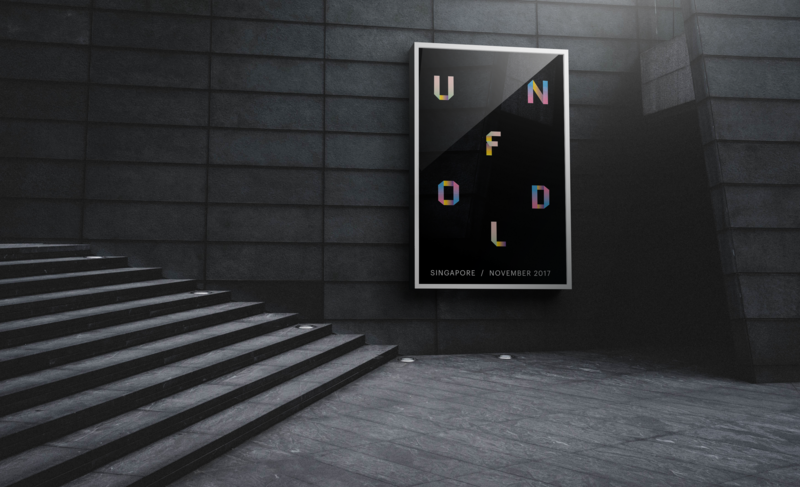 Unfold design conference holds in different country annually, color changes depending on the location.